Even though it’s just a few days away don’t worry—fellow moms have you covered. We chatted and came up with a bunch of gift ideas to help you out. Recommended for moms who: have small children; never have a moment to themselves. Out of respect for the moms I polled, rather than starting with gifts she’d like to open, I’m going to start with the most popular intangible moms want: Peace and quiet. 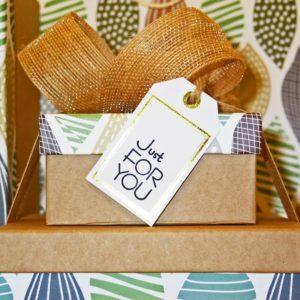 This “gift” tops on the list every darn year so please, do consider ways you could make this happen for the mom in your life if it’s what she REALLY wants. Recommended for: most moms (no, really). When I asked my mom friends what the wanted, regardless of age, things of a pampery nature were tops on the list. Ideas such as breakfast in bed/eating out, gift cards for manicures, pedicures, and massages all were mentioned as wished-for items. And, I’m going to toss out two more ideas: gardening and car detailing. I’ll give you, these are non traditional angles on “pampering” but a number of moms said they’d love someone to give them the gift of yard work. And, since moms tend to spend so much time in their cars shuttling kids, a car detailing could be a really nice thing to do that would make her feel spoiled. Recommended for moms who: spend lots of time cleaning; love technology that makes life easier. If your wife/mom does the bulk of the cleaning, give her a break! Clean the place and also consider giving her a house elf. Yes, I said house elf. To me, my robotic vacuum (this model) is just that magical (and yes, I’ve named him Dobby). I set it to run and I wake up to clean floors and I didn’t have to do a thing. It’s my new favorite thing. Note: if you don’t think a robo vac is quite right, how about getting her the gift of a cleaning service? See “Pampering” above :-). Recommended for moms who: like technology; drop wishful or bitter comments about everyone else’s new stuff; enjoys doing things online; never met a social media she didn’t like. When’s the last time your favorite lady got some new tech? If everyone else has gotten upgrades but she was “fine” with waiting for a while, maybe it’s time to put her first for Mother’s Day (note: especially if her current tech is broken!). Not only will she get an updated device, but it could help her connect to the internet faster—if her current tech is REALLY old, it may not even run on the latest Wi-Fi protocols. Recommended for moms who: never get to the movies; are fans of a certain franchise; consider buttered popcorn a food group. Us moms often enjoy seeing movies, but carving out the time to go doesn’t always happen. There are lots of spring and summer blockbusters coming, and sometimes you can even find old favorites showing on the big screen (Ghibli Fest 2017—squee!). If the movie you know she wants to see isn’t out yet, buy tickets in advance or just get her a movie gift card –maybe you’ll get lucky and she’ll even bring you. (But buy her popcorn and a slushie). Recommended for moms who: have a hobby—any hobby—they enjoy doing. Whether she loves to quilt, make craft projects or build things, tinker with her car, garden, game, ride her bike—I promise you there’s a nice tool out there for her. How about a nice pair of sewing scissors that no one else in the house is allowed to use? Or a fancy new “splurge” gardening gizmo? Or that drill she saw (or this Kickstarter bi-lateral laser measurer)? Or some fun car accessories/mods? Or maybe pick up the bestest game controller available? Think about what she loves, and buy her something uber to help her do it. If it’s her passion, she’ll appreciate it. Recommended for moms who: like to do stuff; have a regular activity they do or want to do. Think a little creatively here. If the mom if your life likes to go to the beach/state parks, get her a park pass. If your mom belongs to a gym, why not pay for her towel fee/or for extra classes? Seriously, I don’t know many moms who wouldn’t love the gift of an Amazon Prime membership if she doesn’t have one already (two words: free shipping). Or maybe she’s always wanted to join Costco, or take dance lessons. Think outside the box, but based on my mom poll, she’ll enjoy both the thought and the benefits of this type of gift. Oh, and don’t forget one more thing—call your mother.